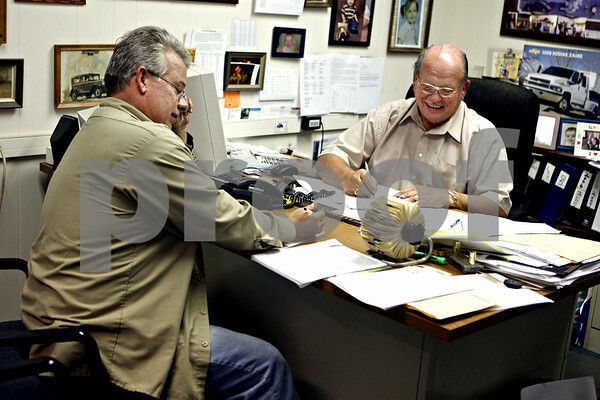 Darren Watson of Dekalb fills out paperwork in the office of Leo Elliott at Mike Mooney auto dealership in DeKalb on Monday afternoon. Watson was taking advantage of the 'Cash for Clunkers' program by trading in a 1993 Jeep Cherokee for a new vehicle. "I got a new car for a used car price," said Watson.